Very few things in life can bring people together like a well done Super Bowl Commercial. The top topic on the Monday after the game each year is more often than not, “What was your favorite commercial? ?” Just look at that “So God Made a Farmer” commercial from Ram in 2013. They have enjoyed a very loyal customer base because of that commercial alone. Well this year, you could say nearly the opposite happened. I’ll be the first to admit, your social media feed is probably not the best place to equally hear opinions on a topic, but nonetheless the topic was forefront on my page Sunday night. Early on in the game, Bud Light kicked off their latest installment of ‘Dilly Dilly’ commercials with a fairly funny concept. For the unfamiliar, these commercials revolve around a renaissance-era Bud Light kingdom that is very devoted to the beer. They even have the Bud Knight, clad in blue armor. The commercial has the characters in their castle’s cellar brewing the latest batch of Bud Light, when suddenly an errant barrel of corn syrup (emblazoned in foreboding, white lettering on the side of the barrel). 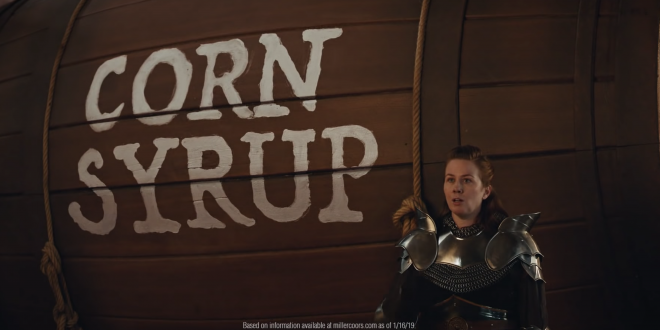 They go on to explain in a humorous way that the delivery of the barrel must have been a mistake because Bud Light does not use corn syrup in the making of their product. The commercial goes onto exclaim, in a very forward way, that Coors Light and Miller Light do use corn syrup in the making of their beer. They even go as far as trying to deliver the barrel to the different beer kingdoms. Watch it at this link. One of the memes circulating on Facebook and Twitter, highlighting the inner thoughts of many farmers. The term “Bud Light. No Corn Syrup.” was then being used throughout the night in every quick beer promotion. Yes, the commercial was jovial and silly, while trying to hit home an important consumer topic that is often misunderstood. But, from the looks of things on Facebook and Twitter, many farmers were not laughing. 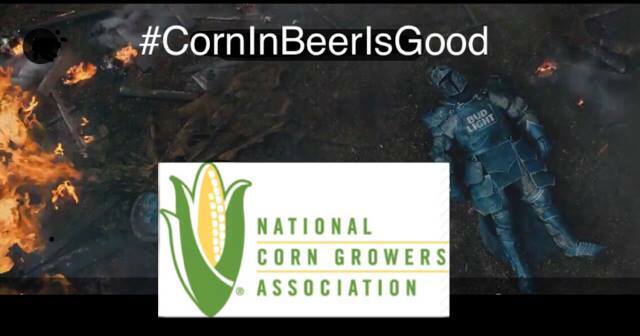 Does Bud Light mean to imply they do not like corn farmers? Not likely. Are they trying to say their competition uses a cheap product? Maybe. Were they trying to sabotage their customer base in farm country? Of course not! But hey, they did. And is corn syrup some sort of evil product? That’s a no as well. Corn syrup is simply sugar in liquid form that that has been extracted from a plant — in this case corn. Food manufacturers like it for a couple reasons. Corn farmers are dang good at making corn — we have a ton of it (and we’ll see just how much in this week’s Feb. 8 reports from USDA). As a result, corn is cheap! Farmers don’t need to be told that — markets in Chicago closed before the Super Bowl weekend hovering at just around $4 per bushel. 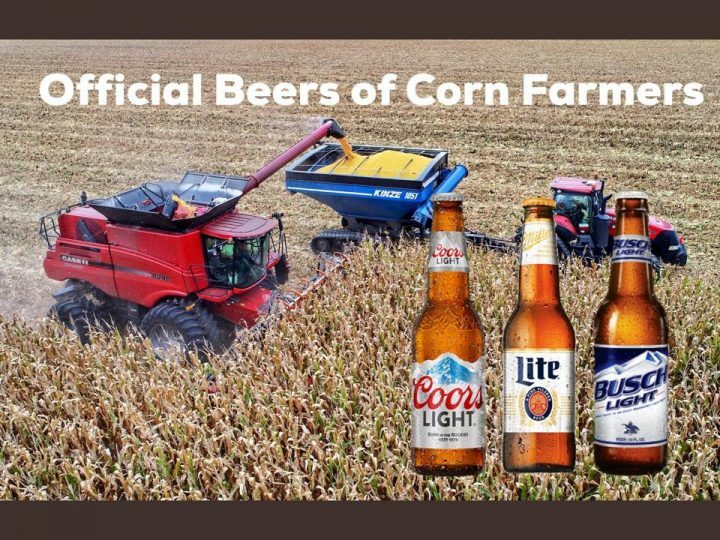 And farmers are proud of their American product and the things it produces — like Miller Light, Coors Light, and Busch Light. Take all that and then have a company that separates their brand by calling out something safe and affordable made with the hard, honest work? Pretty solid base there, Bud. Social media is a fast moving, fickle beast and it will eat you up and spit you out in no time flat. By half time, folks on my Twitter and Facebook feed were posting statuses and memes clearly boycotting Bud Light. Some calls to go for the other beer brands were heard while others commented on the terrible branding choice from Bud Light. Another meme that capitalized on the death of the Bud Knight later in the program. 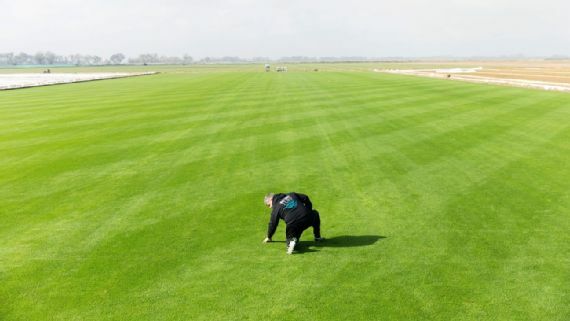 The fact is American farmers are the engine behind the Super Bowl and the American way. There were 1.35 billion chicken wings eaten this weekend, according to the National Chicken Council. The “pigskin” being used in the game itself is made from cowhide (produced at the Wilson football plant in Ada). Plus, your drink of choice is made from the ground up with agricultural products. Is the ad another symptom of the growing gap between the producer and consumer? The choice to boycott or not is yours. But I implore you to use this opportunity as a time to share the good word of agriculture and its many diverse products being used in beer today. Think of it this way: three out of the four leading light beer brands prefer using corn syrup! Why isn’t Bud Light using this great product? And what better time to advocate for ag than with using something that everyone has already seen repeatedly? Use the expensive marketing campaign to your advantage. Nielsen ratings reports over 80% of American homes with televisions watch the Super Bowl — 80%! All those homes were just exposed to a major topic concerning the agricultural industry. 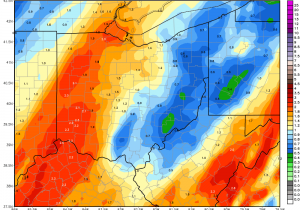 We can take that and start a conversation with it around the water cooler on Monday, this time with an informed agricultural mind (YOU) offering their perspective. 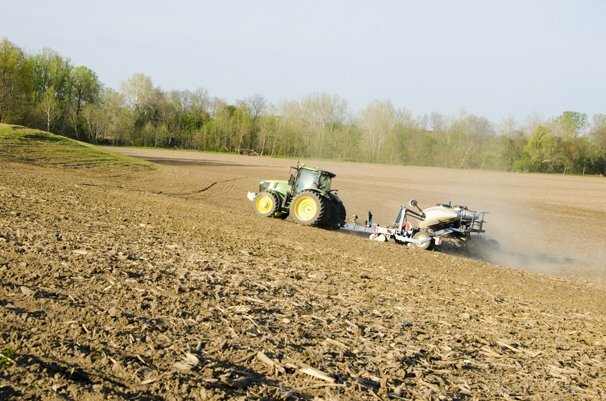 Yes, Super Bowl commercials bring agriculture together — for better or for worse. How does agriculture use this opportunity on a national stage? How will you use this yourself? Oh, and if you are boycotting Bud Light, I hear from some trusted sources the Ohio Farm Bureau has a pretty good beer celebrating their 100th year. Been a while since I made beer, but I remember that beet or cane sugar was a big No No in making normal beers. If we didn’t use all malt we always used corn sugar (Fructose). Use of sucrose gives the beer a winey sort of character. I suspect being AB they pretty much use sugar derived from rice. More like japanese style beer than real beer.